#GrowKindness is not going any where. This season is really difficult for some people. There are those of us that love the holidays. We have big families to celebrate with. We have a home to decorate. We have an abundance of food to stuff ourselves. And we are blessed to be able to give and get gifts. Everyone isn’t as fortunate. There are families dealing with loss and not feeling like celebrating. There are families that don’t know where their next meal will come from much less have enough for leftovers. There are families can’t fathom getting or giving gifts because they have to worry about how to pay bills instead of shop. And there are many children and adults that will spend this holiday season without a home to call their own. We just got home from visiting family that we won’t see for Christmas so JustaBXgirl was able to open a gift early. After she finished shrieking with excitement she made sure to say when she got home she had to find toys to give away to make room for the new ones. It made me proud to know that my daughter is being raised with a giving spirit. You never know who can use something you no longer need. And it’s not just about giving away used things ’tis the season to show compassion and give something new if/when you can. 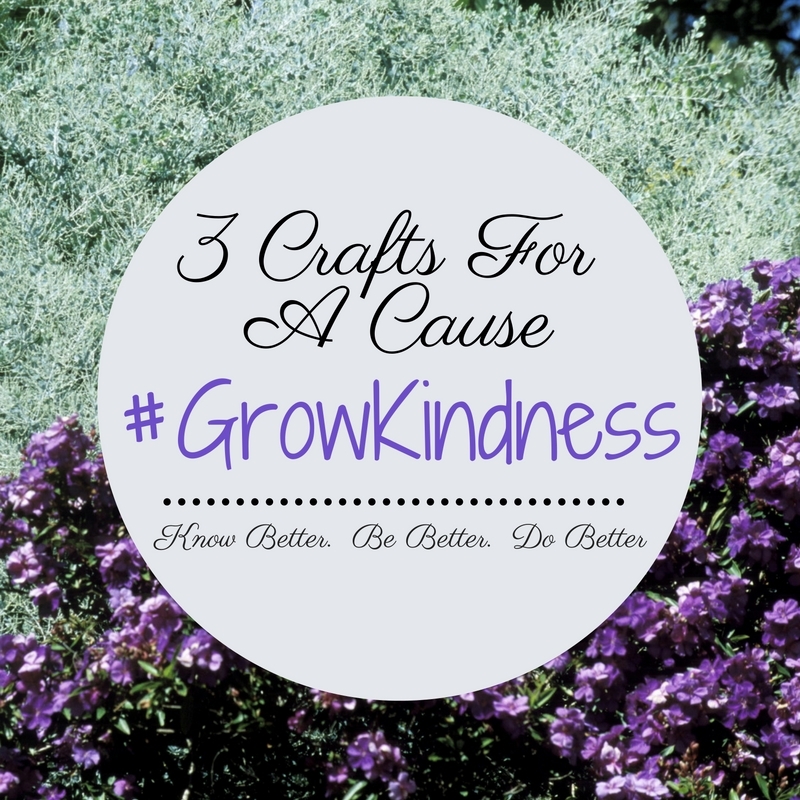 I read about a few ways that you can send small items that you and your children can craft to others in need. I plan to do these simple projects with JustaBXgirl. In case you don’t know by now, I’m completely uncrafty so if I can do these so can you. Let us all decide to give a little more of ourselves this holiday season and continue to #GrowKindness. The charity enchanted Makeovers works closely with women and children living in homeless shelters. Can you imagine how it feels to be a child living in a shelter? Can you imagine being a parent? This project is a small way that we can make a HUGE difference. And it’s easy enough that even I can do it! Step 1 – Take a colorful, new sock and fill it with stuffing. The site I saw it on suggested using quilt batting. Step 2 – Close the sock. You can fasten it with a rubberband or seal it with glue. Step 3 – Use felt to create facial features, limbs and any other types of embellishments. Step 4 – Use tacky glue, hot glue or a simple stitch to adhere the shapes. See how simple that is? I mean, even I can’t mess that up! When a child is spending more time in a hospital than they do at home getting a small gift reminds them that people in the world are thinking of them. I love that St. Jude accepts these easy to make handwoven bracelets as long as they have been made in a smoke-free, pet-free home using new materials. Sadly we cannot wrap them up all pretty and fancy. They must be put individually in ziplock bags for gifting. Step 1 – Cut colorful fabric into one inch strips. Step 2 – Braid fabric strips and tie at the end to create bracelets. Step 3 – Place each bracelet in individual ziplock bags. How cool are those? And it’s a great chance to work on your braiding skills! These are one of my favorites because you can see it put to use. I have friends that make these and leave them in their car. I at times leave one in my purse. You never know when you will find someone that can use it. You can also make these with everything listed below or some or with another list you come up with completely. Step 1 – Gather up so travel sized toiletries (soap, deodorant, toothpaste/brush, wetwipes, lotion) – think all of those hotel toiletries you bring back from vacation and don’t use, new socks, snack bars, cookies, small bottles of water. Also consider including tampons or sanitary napkins, gloves and anything else small that might fit in the bag. Step 2 – Place items in a gallon sized ziplock bag. Make plans with friends to distribute around your city to those in need. Keep a few in your car and when you find someone soliciting for money or food give them a bag. Keep one (or more) in your bag if you commute via public transportation to hand out when you see someone in need. I love all of the ideas to share and show kindness to people, especially the blessing bags. I love this post so much and convey to our boys that despite our own hardships we are so blessed. We have two blessing bags we plan to give away next time we head into the city. The blessings bags can really be helpful. I can keep them in the car in case we see someone in need.